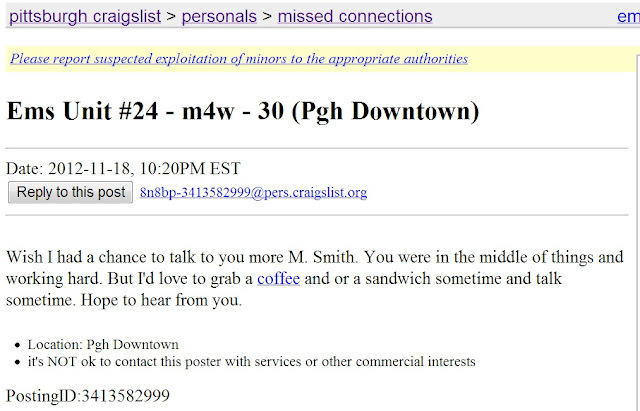 As I've mentioned before, I read the Craigslist Missed Connections on the regular. Unfortunately, I never recognize the people being described in the posts... until today! Because my sister is an ER nurse and my Dad is a 911 Commander, I know quite a few paramedics, firefighters, police officers, etc. I opened this Missed Connection because I had a strong feeling I may know the person being secretly admired. It turns out, the post was for my friend Melissa who may be coming to Ireland/England with me next fall! I immediately sent her a message and she said the post was definitely for her. I told her to send the mystery man an email back. 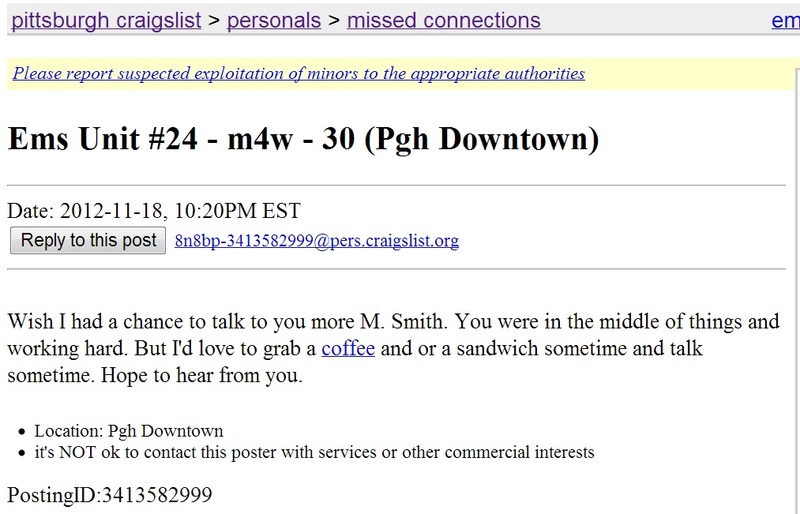 If the two of them hit it off and get married, I expect some sort of prize or at least an endorsement deal with Craigslist. *Is it just me or does anyone else hear "Killing Me Softly" by The Fugees all over this song?! I may have to do a blog post comparison!